It's usually about this time of year that I just want to quit completely when it comes to providing meals for my family. I feel burnt out from school and the last thing I want is to order a greasy burger or pizza. I feel like I have no idea what to feed my family. I want something quick and easy, but not something that is going to a) taste disgusting b) be totally unhealthy and c) cost a bunch of money. 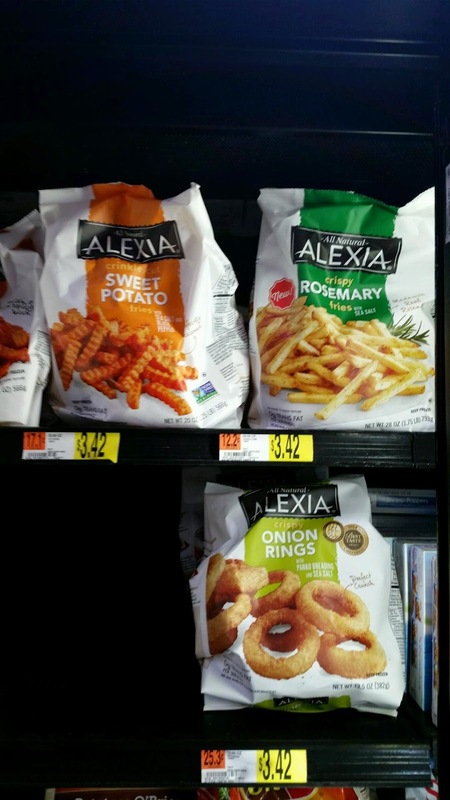 This week I found Alexia's fries while doing my grocery shopping at Wal-mart and it has been a perfect solution to my problem! The fries are high quality and there are so many different varieties. And they're made with all natural ingredients- winning! I tried the Rosemary fries, onion rings, and sweet potato fries. I have a very real and enduring love for sweet potato fries so I decided to just really go wild and see if I could make those fries in to an entire meal. And I did! And now, I share it with you! You're welcome! 4. Add sour cream, cilantro, and avocados to the nachos. This recipe is flexible- anything you love on original nachos can be added- tomatoes, green onions, etc. The sky's the limit!